Let’s face it. No one enjoys being stranded for 3 hours or even for 30 minutes. 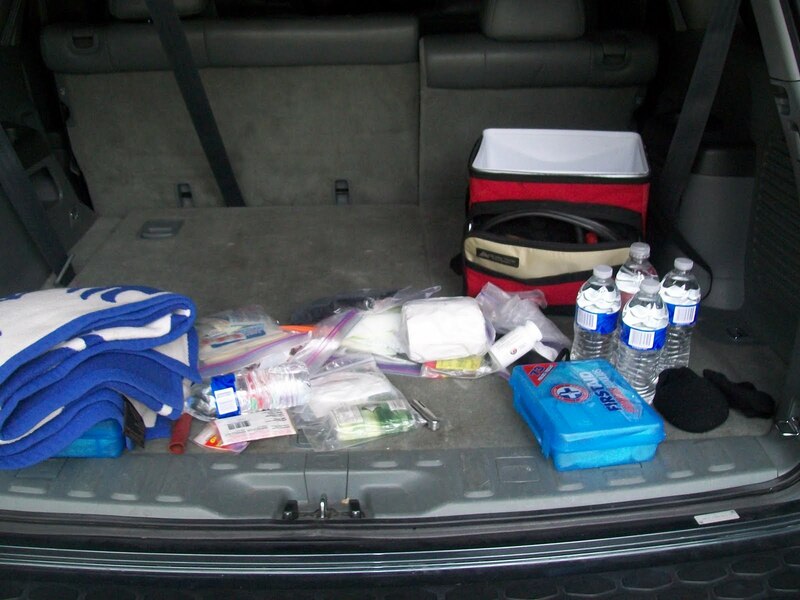 Here are essential items to have in your car in the case of an emergency. Water : Used to cool an overheated engine. Lug wrench: Use to remove lugs. If wheel have locks be sure to bring key. Reflective Triangle: Warns other motorist of accident. Umbrella: For unexpected rainy days. First aid kit: Can be used until medical assistance arrives. Spare tire: Your replacement during a flat or blowout. Car Jack: Used to lift vehicle to change flat tire. Use owners manual for proper location for the jack. 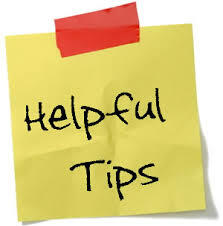 Cell phone charger: Keeping your phone charged. Roadside flare: At night flare warns motorist of accident scene. Poncho: Stay dry during the rain while changing a flat tire. Owners manual: Great source for locating small car details. Fix a flat foam spray: Instant puncture repair spray for tires. A plastic mat: Something to kneel on when changing a flat tire. Towel: Use to dry your face or hands. Gloves: Protection for you hands during emergencies. Tire Gauge: measures air pressure for spare tire. Winter can do a number on your car. Slush, salt and cold temperatures take a toll on everything from the tires to the wiper blades. So, with spring finally here, it’s a good idea to give your car a thorough once-over to undo winter’s damage. It won’t cost a lot. You can the work yourself or visit a car wash and a garage. Goodyear, Firestone and other car care centers will rotate your tires, change your oil and fluids and inspect your vehicle for winter damage for $35 or less. Spend a few extra dollars for the undercarriage power wash at the local car wash or spray the car’s bottom with your own hose. If possible, use a car jack to raise the vehicle for a more thorough cleaning, advises Bill Kropelnicki, president and owner of Rambling River Repair in Farmington, Minn. There’s no need to use soap or any other cleaner. While you’re at it, open the hood and wipe down the engine with a soft mitt and soapy water. And remove all the leaves and debris that can find their way into the car, says Cliff Weathers, deputy autos editor for Consumer Reports. And remove any crusty white residue off the battery with a toothbrush, baking soda and water. The residue — caused by corrosion — can eventually prevent your car from starting. The cleaning also helps prepare the battery for the stress of warmer temperatures. Salt and sand can damage the car’s paint. Give your car a thorough cleaning and wax it with a paste or liquid wax, Weathers said. He cautions that sprays don’t clean as well. Use a steam cleaner — you can rent one for $20 at Home Depot — or apply a rug-cleaning spray to remove all the salt from the car’s inside. Salt can break down some fabrics and cause rips or tears when feet grind against them. And don’t forget to take bags of salt and ice scrapers out of the trunk. Wiper blades get a workout during the winter months. Weathers advises changing them each spring and fall. Amazon.com’s best-selling Bosch wiper blades go for $25 a pair. Some garages recommend a wheel alignment — which can cost around $80 — or a tire rotation as part of your spring maintenance. Weathers doesn’t think it’s necessary as long as you’re following the car’s regular maintenance schedule and doing normal winter driving. Check your tire pressure. Cold weather can cause tires to be underinflated and the onset of warm weather can overinflate them. Also, visually inspect your tires to make sure they’re wearing evenly and have plenty of tread for the rainy spring weather ahead. Winter weather can deplete some fluids — especially windshield wiper fluid — more quickly, so top them off yourself if they’re too low. A service station will also do the job for $25 or so. You should change your oil around every 5,000 miles regardless of season, Weathers says. Brake and transmission fluids should be checked as well.